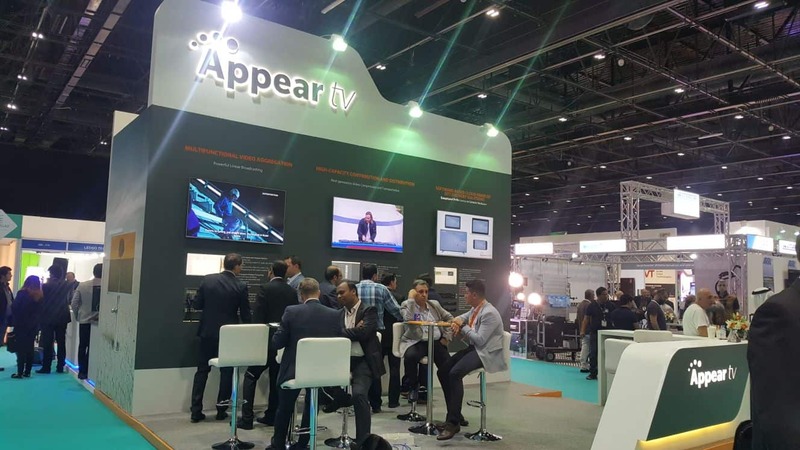 DUBAI, UAE, January 12, 2018 - Appear will present its wide array of video delivery products at CABSAT 2018 (Stand: ZB5-B61), a premiere expo for broadcast, satellite and digital entertainment technology. In addressing advancements in video distribution, Appear offers a unique approach that balances the complementary nature of hardware and software. The company will demonstrate how its powerhouse X- and XC-series hardware for contribution and distribution works alongside its software portfolio for optimal performance at any point in the broadcasting value chain. At CABSAT 2018, Appear will showcase its newest hardware-addition, the multifaceted X-series. The durable XC-hardware platform, serving both the cable and satellite market by choice of modules to be fitted in the chassis, will also be on show. Adding to the roster is the entire Appear software portfolio, which makes the company a must-visit for this year’s exhibition.